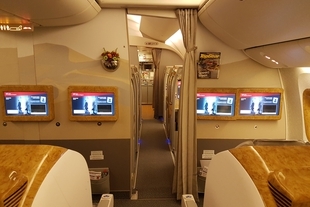 So you're thinking of booking a business class seat to Europe with a stop in the Middle East or flying the same aircraft on the route on QR906 or QR908 back to Australia? I put the 2017 Skytrax Airline of the Year, Qatar Airways, to the test to find out if you should you spend your credit card rewards points on this flight. Baggage: Carry on and 40kg checked luggage. Qatar has shown serious form over the years, being successful enough to win the Skytrax Airline of the Year a total of four times since its inaugural flight in 1997. 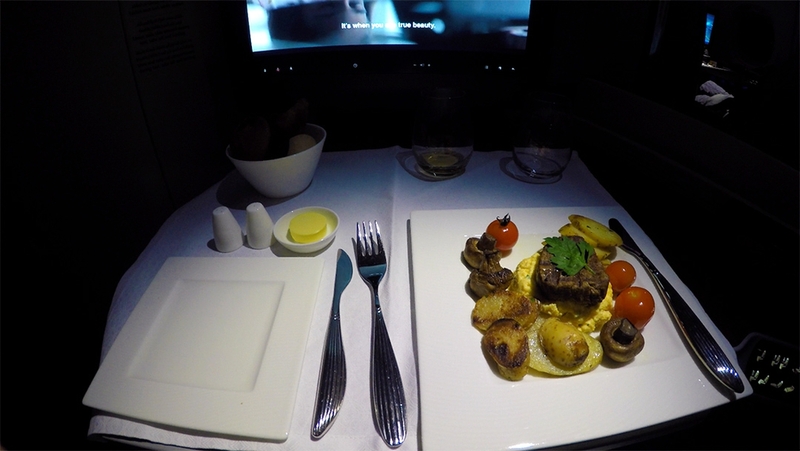 We think that Qatar Business Class ranks highly compared to Emirates, Etihad, Qantas, and Virgin Australia and that it is a great use of Qantas Points thanks to the One World arrangement. 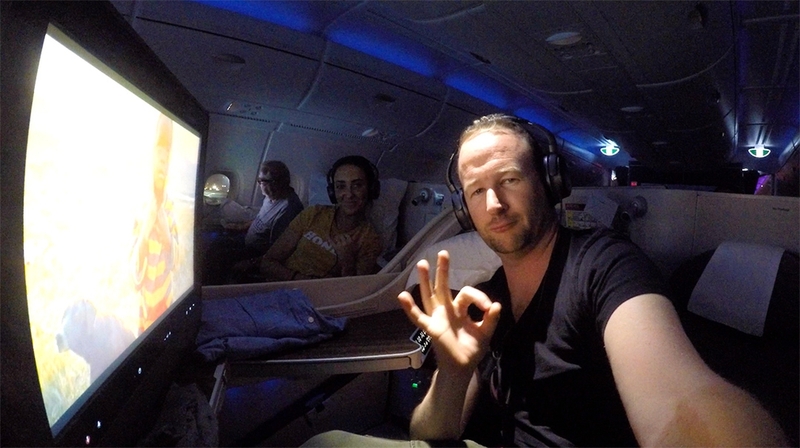 Flying Qatar from Sydney to Doha is very popular and our business class cabin was full to the brim on the night we flew! We had a large group of around 20 fellow Aussies headed to Doha and then onwards to Amsterdam to begin their Scenic river cruise. What a way to start a luxury trip like that. I was traveling with my sister to Europe on a last minute trip our flights were booked only 2 days ahead of flying. To buy a Business Class ticket on this popular Qatar flight from Sydney to Dublin with the connecting stop in Doha would cost $5,000 - $6,000 AUD. Naturally, booking on points is the most cost-effective way to do book flights. No surprise but not many Australians are members of the Qatar Airways Privilege Club. You could consider it to be an exotic airline program. So other than actually flying with Qatar Airways, there is no direct way to earn QMiles using a credit card issued here in Australia. So how do you do book a flight on Qatar using points? 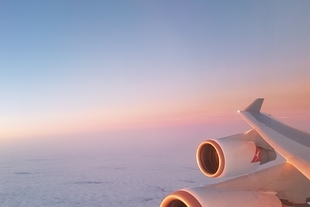 Thanks to the One World alliance of airlines you can book Qatar flights on Qantas.com. Our flight cost each of us 104,000 Qantas Points plus $495 AUD in taxes. Booking this flight I was only able to make each of my 104,000 Qantas Points be worth about 5 or 6 cents per point spent. Qatar Airways actually costs less for points bookings for Sydney to Dublin in business class compared to other airlines especially Qantas and Etihad. Qatar costs 104,000 Qantas Points plus taxes. Emirates costs 105,000 Qantas Points plus taxes. Singapore costs 105,000 KrisFlyer Miles plus taxes. Cathay costs 110,000 Asia Miles plus taxes. Qantas costs 146,000 Qantas Points plus taxes. Etihad costs 162,697 Etihad Guest Miles plus taxes. To compare frequent flyer credit cards go to our comparison page and you can find your new points card. 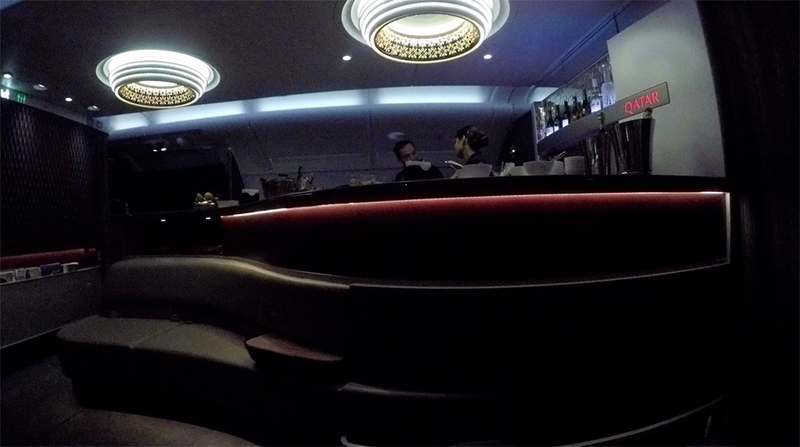 Passengers flying business or first class on Qatar are invited to use the Qantas lounge. The Qatar Airways A380 Business Class cabin is situated on the upper deck of the A380 feels fresh, new and has some ornate touches. 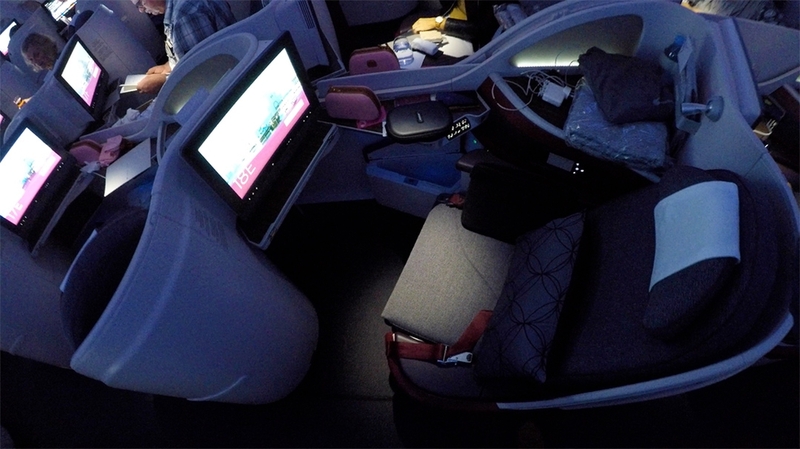 The continual use of mood lighting and fresh seat designs produces a futuristic feel. The 1-2-1 layout in the reverse herringbone gives everyone direct aisle access. The one thing I don't like is the low height of the seats. The one thing I don't like is the low height of the seats. When you sit upright you can really see across the entire cabin to everyone else. The seat design on Qatar is much less private than on Qantas, Emirates, Etihad, American Airlines, Cathay, Virgin Australia, and Japan Airlines. Sleep and rest. That's what it's all about on a long 14-hour flight like this. That's why people are willing to fork out the points to fly with one of the best airlines in the world. They don't want to start their trip off like a zombie. 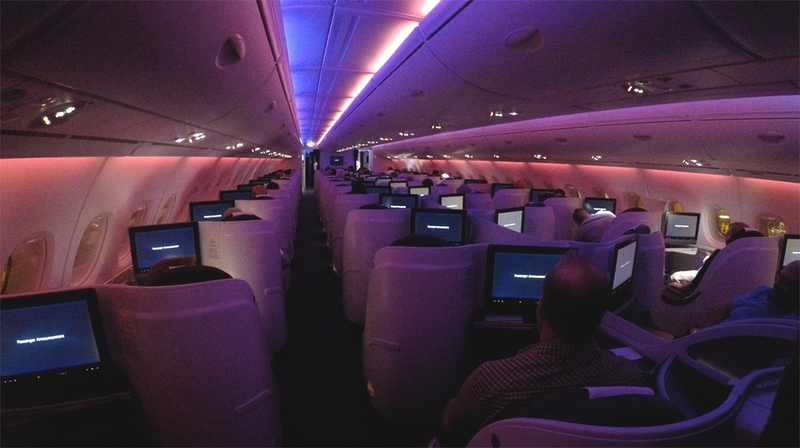 You can expect a big comfortable modern seat, huge inflight entertainment screen right in front of your face, personal reading lights, charging ports, and loads of storage around your seat. 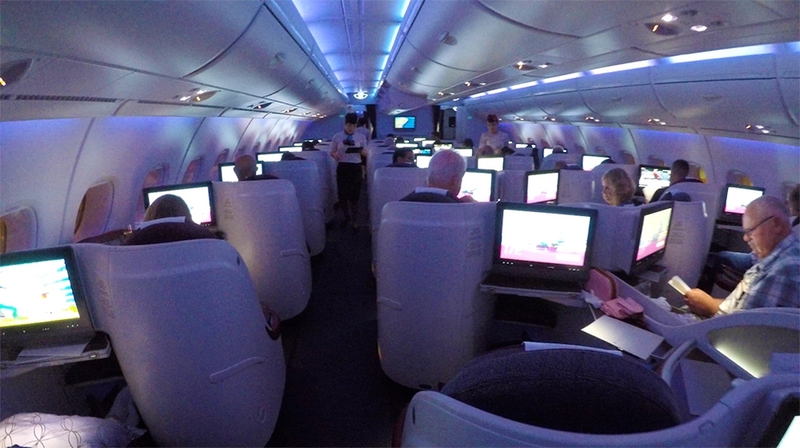 The actual seat design on the A380 and smaller Dreamliner planes are very similar. I'll review that on the next leg to Europe. Seats are wide, spacious and comfortable. Ample room to store your carry-on bags and shopping with the overhead bins. Plenty of room in the footwell for bigger passengers. Every passenger in Business Class also receives a well-stocked pink leather amenity kit by Italian luxury brand BRIC'S. If you're travelling with someone (or in my case my sister) then the middle two seats are better so that you can be closer. There's a divider that comes down between the seats. Light snack before sleepy time. 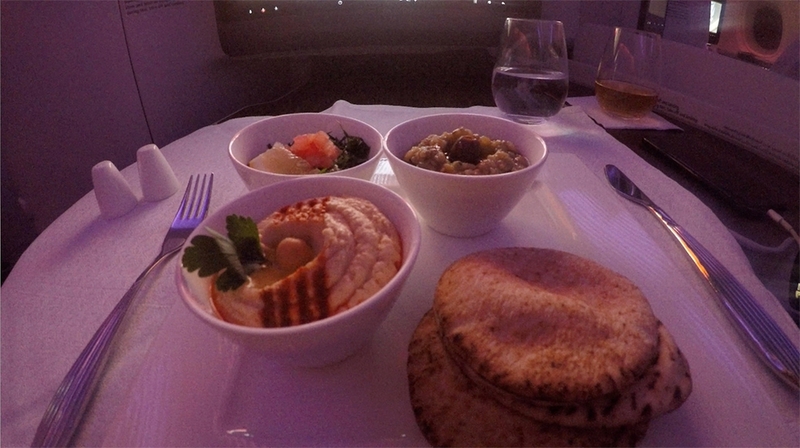 Every snack, meal, and drink on my flight was high quality. The whole menu is a A-la-carte meaning that you can order anytime. The quality of the cuisine, customer service and overall experience was really good. Since Qatar Business Class is so good you could argue that there's no need for anyone to fly First Class. 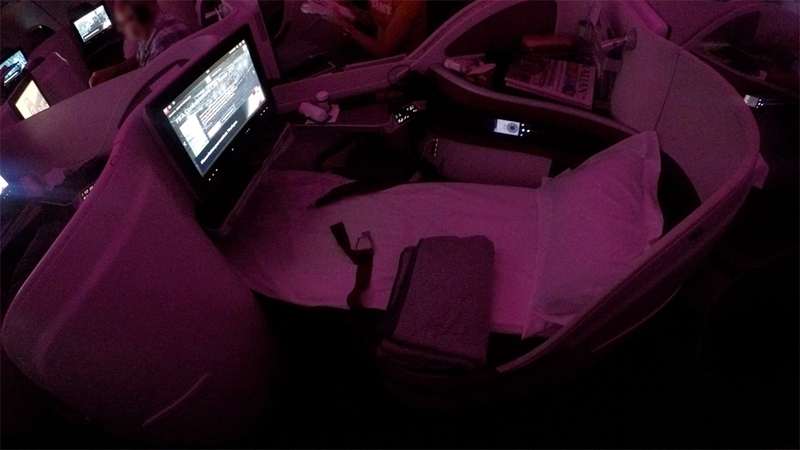 The A380 on the Qatar QR909 route also has a First Class cabin. Basically, the A380 is big enough to fit loads of business class seat plus First Class section. Since Qatar Business Class is so good you could argue that there's no need for anyone to fly First Class. 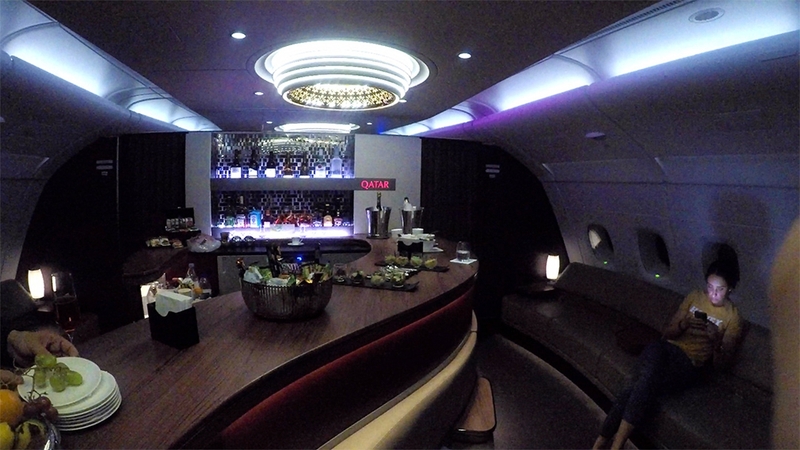 The Qatar A380 has a bar at the rear of the Business Class cabin. It was not as well stocked as the bar on the Emirates A380. 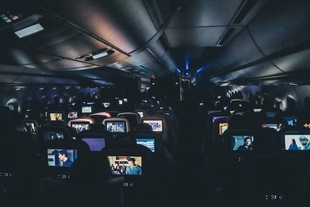 Unlike the marketing you'll see on airline websites or movies, the bar on a plane isn't a place for well-groomed international elites to mingle or do business deals. It could be a lot of fun if you were traveling with a group. More like it's a place for weary flyers to get out of their seat for a mid-flight stretch and yes, have a pleasant chat with the other passengers. I think I visited the bar after a few moves at 2 am when we were somewhere over the Indian Ocean. Every seat has a seat topper, thick quilted blanket, and pillow. If you're wearing a suit jacket there is a small but better still the cabin crew will take away and hang it up. Pajamas are provided too for this overnight flight. Do you think you could sleep here? Each seat reclines all the way back to lay completely flat. 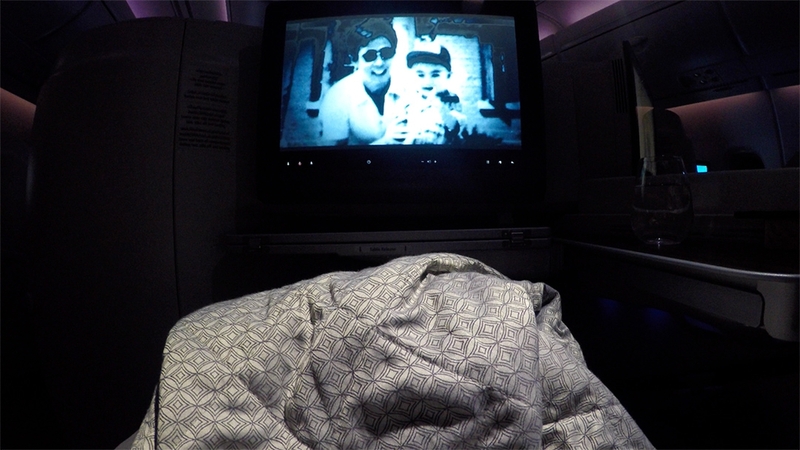 Just ask your flight attendant to turn your seat into a bed at any time. 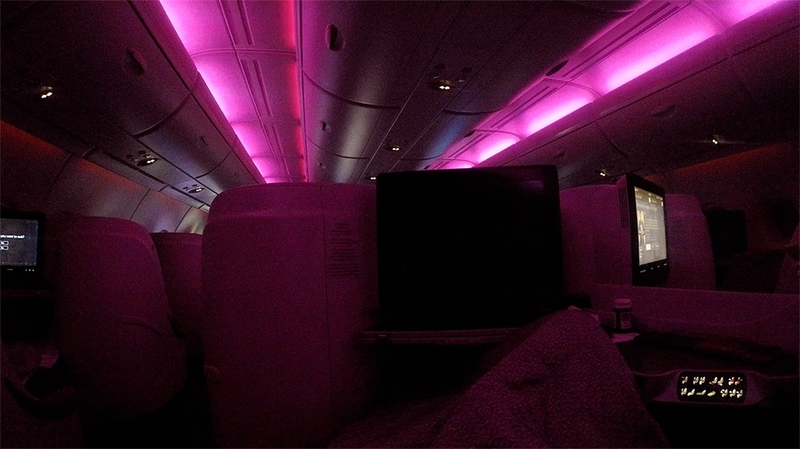 I'm unsure but I think I went dark for 6-8 hours of sleep on this leg of my journey from Sydney to Doha. Qatar's hub airport is the Hamad International Airport in Doha (DOH). In my opinion the airport itself is leagues ahead of Etihad's Abu Dhabi airport. It feels like a large Westfield mall ... in the desert. 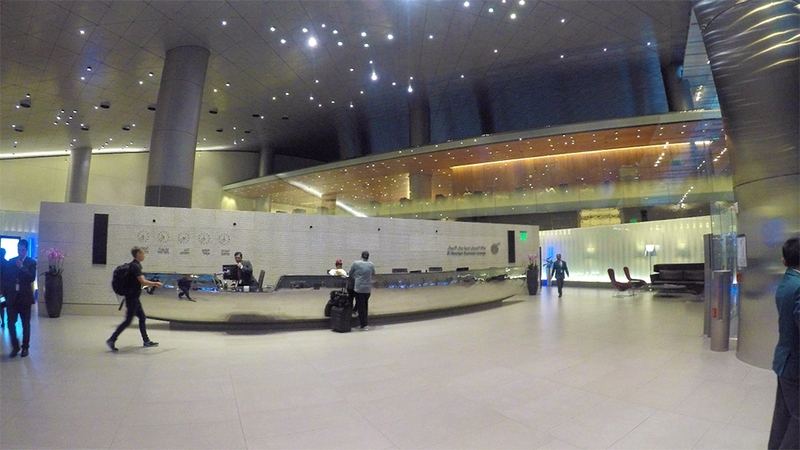 Doha is a classier and newer airport with tall ceilings and spacious concourses. It is even be better than Emirates Dubai (DXB) airport. 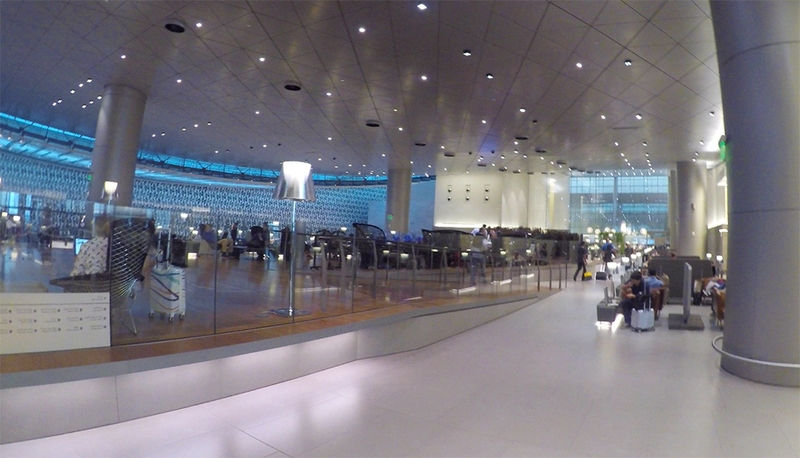 The Qatar Al Mourjan Business Lounge is vast, spacious and stylish. In my travels, I highly rate this business lounge. You'll find comfortable seating in the main areas, food and dining options in buffets and restaurants. Quiet areas to snooze in. An excellent business center, quite "sleeping" area for a quick nap. There are showers too but you might face waiting times during peak hours. If you have about 6 hours or more between flights and feel up for a mini adventure you can do a quick city tour of Doha. We arrived just before dawn in Doha and only had a 2 hours 30 mins in Doha. So honestly we did not feel up to it this time before our next flight onward to Dublin. For more information and a photo tour of the highly rated Qatar Al Mourjan Business Lounge at Doha Airport (DOH) check it out over here. Flying Qatar business on such a long flight was a great experience. Qatar does a really good job. I got to my destination safe and sound, no delays, well fed and rested. Ready to hit the ground running. Qatar cabin crew were warm, friendly and attentive. Nothing felt like a hassle for them. Not over the top either. Wifi when I tried it was slow but then I didn't care. I booked on Qantas.com using my Qantas Points which was straightforward and managed to get a good points-per-cent valuation. So you've put a serious dent in your points total or need more points before booking then consider signing up for a new credit card.